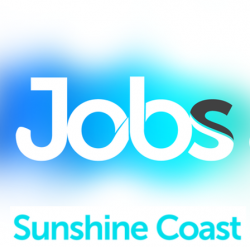 Our client is now recruiting for a full time Clinical Manager (APHRA Registered) for a large Aged Care facility, located on the Sunshine Coast. This is an exciting time to join so soon after the facilities luxury refurbishment and extension. You will report to the Facility Manager and benefit from ongoing support from the Head Office clinical management team. You have every weekend off, but may be a requirement to be on-call. Your primary role is to recruit, lead and enhance the personal care team and to maintain the excellent standards for which this organisation is known. You are an outstanding communicator. During your career, you have developed broad clinical expertise and specialist knowledge. An empathetic attitude towards residents. This organisation offers ongoing professional development and opportunities to meet with your peers from other aged care residences. In addition, you will have access to Corporate Superannuation and Health plans, offering a range of benefits to members. If you feel this is the right role for you, get in contact with your current resume to maria@jwhealth.com.au and we can arrange a confidential chat about the role. Job Categories: Healthcare. Job Types: Full-Time. Occupation: Managers.